Miles of pristine coastlines, ancient ruins around every corner, friendly people, and fantastic scenery—there’s much to love about Greece. One of the world’s most popular tourist destinations, it’s also a living museum of art and architecture. Byzantine treasures from cities around Greece can be seen at the Getty Villa in the exhibition Heaven and Earth: Art of Byzantium from Greek Collections, on view April 9–August 25. One of the best ways to explore the icons, textiles, architectural sculptures, frescoes, and mosaics in the exhibition is to understand the sites where these treasures originally resided, and how they were used. These locations represent the intersection of Eastern and Western religion, politics, and customs that yielded Byzantine artistic triumphs. The city of Kastoria is an astoundingly intact time capsule of the Byzantine Empire. This small city lies in the breathtaking countryside of western Macedonia and is protected on three sides by Lake Kastoria, so its Byzantine churches and frescoes have been well preserved. 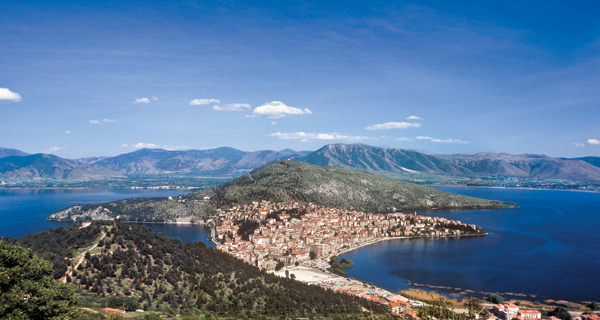 Kastoria was linked to key Byzantine cities like Constantinople by major medieval roads like the Via Egnatia, and its art benefited from the exchange of ideas and techniques along that busy road. 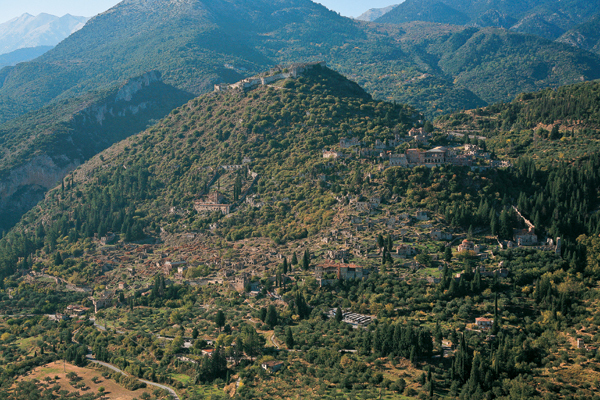 A particular gem lies on the city’s northwest side, where visitors come across the Church of the Hagioi Anargyroi. Dating back to the tenth and eleventh century, the church holds some of the city’s earliest art treasures. A lifelike portrait of emperor Constantine hangs in this church, which was built and decorated with support from the city’s wealthy residents. One of the most significant objects in the Getty Villa exhibition is a two-sided icon from another don’t-miss spot, the Byzantine Museum of Kastoria. One side shows Christ laid out for burial in an image that combines themes of the Crucifixion, the Lamentation, and the Entombment. 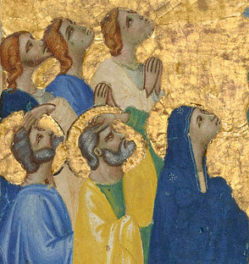 The reverse shows the grief-stricken Virgin Hodegetria (an iconographic depiction of the Virgin Mary) as she gestures towards the Christ child, indicating his role as mankind’s path to salvation. 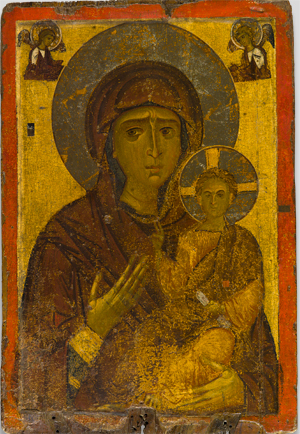 In the Byzantine era, icons such as this one were carried in procession on Good Friday. Continuing our tour, we reach Thessaloniki in northern Greece, which was considered the “second capital” of the Byzantine Empire after Constantinople. While it was a powerful port city with a thriving economy, its exposed location made it vulnerable to incursions of Muslims and Western crusaders. The city has at least 18 existing Byzantine monuments open to the public, but these remaining monuments are a small portion of the city’s onetime architectural wealth. Many of its Byzantine churches and monasteries survived as mosques during Ottoman rule and have been restored within the last century to their Christian contexts. The city houses some of the finest assemblages of mosaics from the fourth through sixth centuries A.D. Heaven and Earth features a mosaic fragment from the Church of the Acheiropoietos, the oldest surviving church in Thessaloniki. The mosaics’ brightly colored vegetal, animal, and geometric motifs appear to float against a gold background, giving the impression of a heavenly environment. Mistra is known as a “city of ruins.” Located in the foothills of Mount Taygetus in the Peloponnese, this heavily fortified site was ceded to the Byzantines in 1262 and quickly developed into a dynamic urban center with intense intellectual and artistic activity. Some of the most important examples of residential architecture of the late Byzantine period are preserved in Mistra. Two of the city’s most prominent Byzantine churches, the Metropolis and Hagioi Theodoroi, also represent the site’s diversity of architectural design. The Metropolis follows a classic basilica type found in churches in Sparta—which Mistra overlooks—while Hagioi Theodoroi follows a domed octagon design similar to Hagia Sophia in Monemvasia. Relief with Christ Pantokrator, a marble and wax proskynetarion excavated from the Church of the Peribleptos at Mistra, is featured in the exhibition. Protective in function and monumental in size, proskynetaria were built into city walls or placed in public spaces and churches where they were available for public veneration. Christ Pantokrator (meaning Almighty or All-Ruler) sits on an elaborate throne under an arch, holding a closed book and making a gesture of blessing. It’s a beautiful image that—like many objects in the show—causes me to wonder how majestic it once looked in its original context. The exhibition Heaven and Earth: Art of Byzantium from Greek Collections includes loans from a remarkable 34 museums across Greece, collectively painting a rich portrait of the Byzantine art and culture that still enriches Greece’s landscape today. To explore beautiful buildings and landscapes from the places I’ve mentioned here as well as three more—Athens, Philippi, and Thessalian Thebes—see the videos embedded below. And to visit the exhibition, book a ticket to the Getty Villa here. 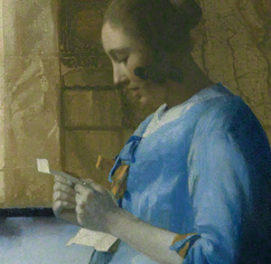 Admission to the Villa and to the exhibition is free. So beautiful, from the Historical, Cultural, Artistic point of view, and, so little….is known about it.